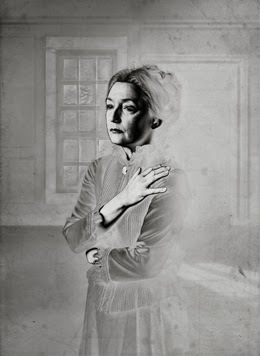 Like the dose of the clap on which it is centred, productions of Ibsen’s Ghosts appear with alarming regularity – indeed Stephen Unwin premiered his own new version for the Rose Kingston and English Touring Theatre just a couple of weeks ago – and for someone who has largely remained immune to Ibsen’s charms, the claims that this is one of the dramatic pinnacles of the theatrical canon have always bemused me somewhat. Unwin’s detailed period production laboured heavily under its respectful approach that ended up almost dull in its restraint but Richard Eyre’s interpretation, which he has adapted and directed himself for the Almeida, is fresh and raw and as appallingly exciting as this play could ever hope to be. Lesley Manville has rarely been better than as Helene Alving here, a woman caught up in the cocoon of protective lies she has told to protect her son from the knowledge that his father was a philandering ne’er-do-well who carried the pox, to protect her family’s reputation from the moralistic gaze of a fiercely hypocritical society, to protect herself from the inherent misery of the life that society has deemed appropriate for her. The minute that cocoon starts to unravel, so too does Manville, coils of hair break free from her coiffure and tightly bottled emotions start to spill forth. It’s a freedom of sorts with an exhilarating compulsive energy but it spirals out of her control, as she realises she can’t escape anything from the past, it is utterly heartbreaking. As she reaches for the arms of Will Keen’s excellent churchman, though his sanctimonious posturing is a huge part of the problem, the implacable rejection is the starting pistol for her descent. Keen unearths an effective comic side to Pastor Manders which counters his evangelical zeal excellently. Helene also ends up riding roughshod over Charlene McKenna’s Regina, the maid who discovers too late that her amorous intentions, and her ticket out of Dødge, are doomed – Manville turning her own baleful stare on the younger woman. For the centre of everything, rotten as it may be, is her relationship with her son, Jack Lowden’s ailing Oswald. He makes his fast-developing degeneration painfully convincing, forcing the deepest of confessions from his mother and offering up a truly upsetting climax – brilliant, brutal work from both Manville and Lowden. Tim Hatley’s deceptively simple design with its translucent walls adds an otherworldly quality to the household, even the act of clearing the table in the other room becomes mysteriously interesting though the dappled glass. And Peter Mumford’s lighting is triumphant – the unsettling gloom of indoors barely alleviated by gas lamps and when the dawn finally comes, its oppressive red glow offering little respite. And playing it without an interval makes perfect sense, the relentless tumble into tragedy heightened by its inevitability and immediacy. For myself, I still can’t honestly say that I believe Ghosts to be one of the best plays ever written but this production has to rank as one of the best interpretations of Ibsen I have ever seen.